Thin is in. 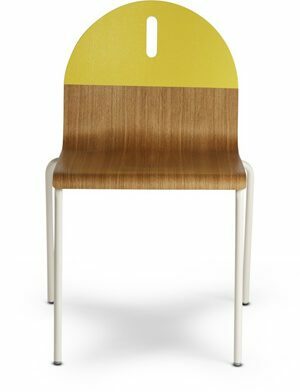 Powder-coated steel ships flat and folds along laser-cut lines to create a dynamic and comfortable chair. As skinny as a supermodel yet far more sturdy. Available in aqua, ivory and white with gray legs or four glossy tone-on tone colors: black, green or navy. Please note that the copper finish will tarnish more rapidly when in contact with the non-slip latex backing of the Real Good Chair Pad.